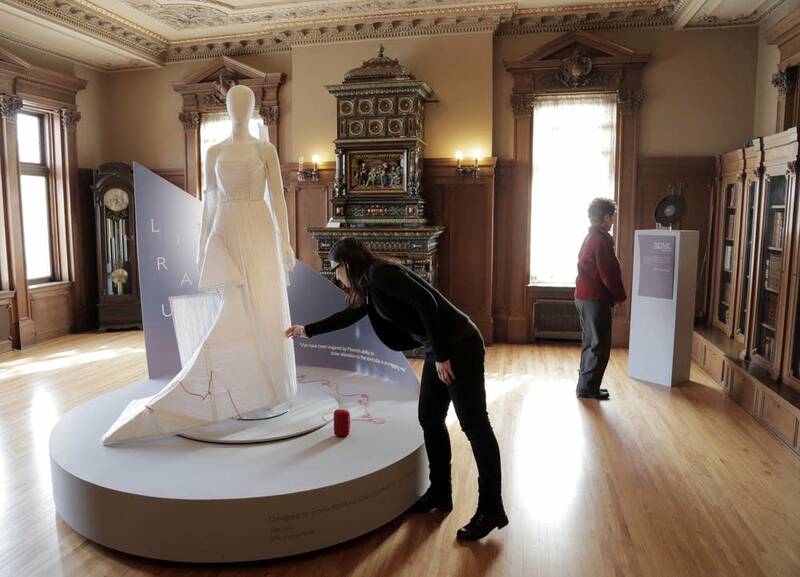 A new exhibition at the American Swedish Institute in Minneapolis combines fashion, music and floral displays inspired by the 2013 Nobel Prize winners with the glamour of an awards dinner. "Nobel Creations" is a rare show that might appeal to fashionistas and physicists. On loan from the Nobel Museum in Stockholm, it features couture designs from students of Beckmans College of Design in Sweden. But the dresses do more than impress; they also depict major scientific work. 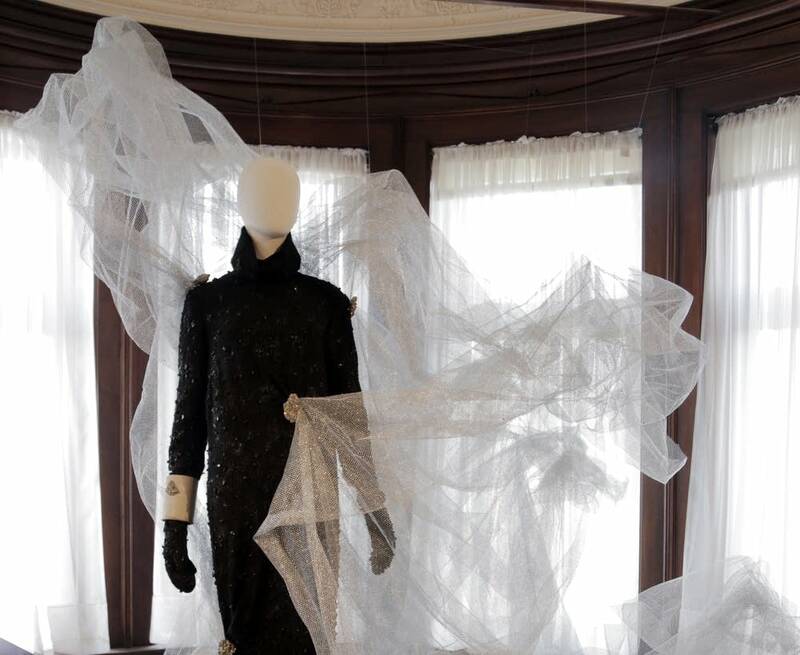 A glittery black gown, for example, was made in honor of the discovery of the Higgs boson particle, said Krista Ulman the American Swedish Institute's interpretive services planner. "We have this billowing gray sort of canopy around the dress — that represents the Higgs Field — and then when the dress, which is made up of these black, stone-like particles, when it intersects with this canopy, when it touches it, big points are highlighted with pyrite," Ulman said. "That's when the particles are acquiring mass." Each year, Beckmans students are charged with designing dresses that represent the six Nobel Prizes. The young designers know that eventually the Nobel laureates will see the outfits when they journey to Stockholm to receive their awards. "The very first thing they do is they visit the Nobel Museum. They get tours with the curators and they see the exhibition on display," Ulman said. "So the students are there to talk about their work, and the laureates get to see all of their incredible ideas interpreted in fashion and music." Visitors to the American Swedish Institute will hear original compositions by students of the Royal College of Music in Stockholm. Guto Lucena, a woodwinds player from Brazil, composed one piece to represent the wild fluctuations of the stock market — and honor three economists who in 2013 were awarded Nobel prizes for advancing common understanding of market trends. Laura Cederburg, communications manager for the American Swedish Institute, said it's fitting the exhibition should come to Minnesota, where this weekend Augsburg College will host the Nobel Peace Prize Forum. Gustavus Adolphus College in St. Peter holds a Nobel forum in the fall. "We have one of the states with the largest numbers of laureates here, and there are people here at the University of Minnesota and all of our great universities that are continuing to work on these major projects and accomplishments," Cederburg said. Among Minnesota's laureates is Dr. Peter Agre, director of the Johns Hopkins Malaria Research Institute. Agre, who was born in Northfield, shared the 2003 Nobel Prize in Chemistry "for the discovery of water channels" in cell membranes. Agre has loaned his Nobel diploma and a replica of his medal to the institute for the exhibition. In addition to the dresses and music, the American Swedish Institute also is displaying floral designs created by Twin Cities florists. 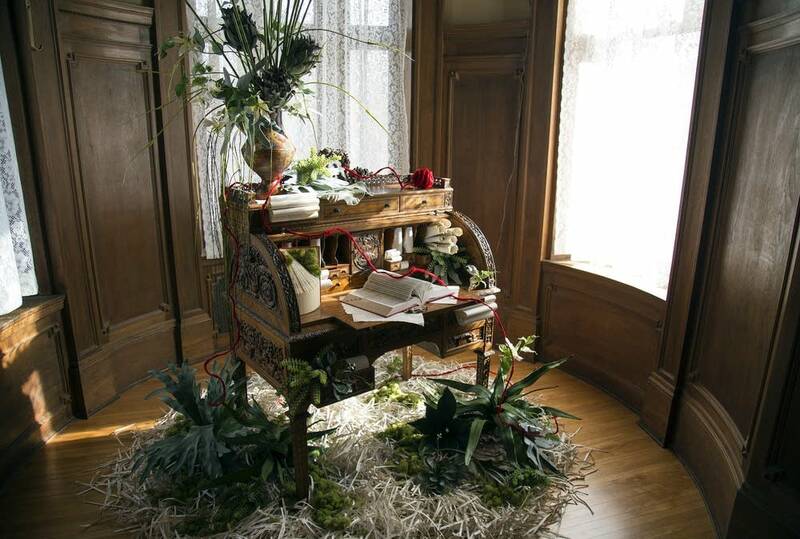 In one room, an antique writing desk is the setting for an explosion of greenery and paper — a tribute to the writing process of Alice Munro, who won the 2013 prize for literature. The entire exhibition is a celebration of creativity, Ulman said. "If you are a fashion designer, or a musician or a floral arranger, you have to have creativity — same if you are a physicist, or a writer or a chemist," she said. "You have this incredible creativity to challenge established norms and to really question everything and try to create something new in your work." What: "Nobel Creations: Inspired by the Nobel Prize"